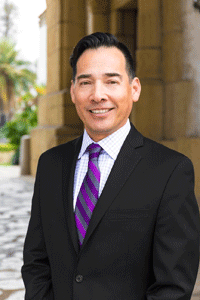 Richard H. Martinez, CIC, has over 25 years of experience in the insurance industry. He is dedicated to providing excellent service and products for his clients. He has special expertise in team building and creating a customer centric environment. Service revolves around the needs and goals of his customers, and he trains his team to take a holistic approach when working with each individual client and business. He began his career in 1990 as a regional Sales Manager with Prudential Insurance Group where he was admitted into Prudential’s Western Academy of Honor. He focused on financial and life insurance products to provide his teams with the right tools and products to serve their customers. In 1998, he was recruited by Allstate Insurance to run one of the largest territories in the Central Valley. His dedication to empowering his agencies earned him the rank of being one of the top 10 Sales Leaders in the country for 4 consecutive years. Richard continued to build his portfolio of insurance products over the next 14 years by working and consulting with several other insurance industry companies such as Lloyds of London, Universal Underwriters, Farmers Insurance, Fidelity National, and ICat (International Catastrophe Managers). He knew all along that his goal was to take all of his skills and knowledge and build a successful insurance brokerage. 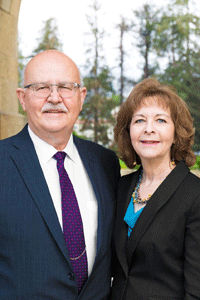 When he began consulting with Bill and Barbara Terry, he knew they were offering him an excellent opportunity. In 2018, Richard H. Martinez, graciously accepted the position of President and CEO of Bill Terry Insurance Agency. Richard and his wife Maureen have been married for 22 years and have two children. Their son, Jakob is a current student at UCSB (GO GOUCHOS!) and their youngest son, Zayne, is attending University of Tampa (Go Spartans!) and playing Lacrosse. In his spare time, Richard volunteers to help support local lacrosse teams and clubs. He loves the sport and he enjoys supporting our local schools and youth sports. Bill Terry Insurance Agency is dedicated to providing superior service to our clients through personal contact and regular reviews. We specialize in Homeowner & Condominium Associations; Apartments; Property Management Liability; Luxury Homes, Autos, Umbrellas, Personal Articles Floaters, Earthquake, and Flood; and Worker’s Compensation.